Supplier selection is an integral part of supply chain management (SCM). It plays a prominent role in the purchasing activity of manufacturing and trading companies. Evaluation of vendors and procurement planning requires simultaneous consideration of tangible and intangible decision factors, some of which may conflict. 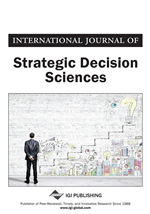 A large body of analytical and intuitive methods has been proposed to trade off conflicting aspects of realism and optimize the selection process. In the large companies the fields of decision makers’ (DMs) expertise are highly distributed and DMs’ authorities are unequal. On the other hand, the decision components and their interactions are very complex. These facts restrict the effectiveness of using the existing methods in practice. The authors present a multicriteria decision analysis (MCDA) method which facilitates making supplier selection decisions by the distributed groups of experts and improves quality of the order allocation decisions. A numerical example is presented and applicability of the proposed algorithm is demonstrated in the Raiffeisen Westfalen Mitte, eG in Germany. Taking complex multicriteria decision, including purchasing, is a consequent multistage process. We designed the algorithm that includes 16 steps summarized. Derive consensus based rankings of suppliers in accordance with their strategic performance. Rankings serve as a legitimate and transparent foundation for establishment of partnership strategies, selection of long-term contractors and stimulation of supplier development. Classification of vendors into the groups reflecting their relative competitive advantages and disadvantages. Support Just-In-Time (JIT) purchasing decisions for trading activity based on market-rate prices taking into consideration compound strategic weights of vendors.